--> special introductory price: 40% off! Instead of 9.99 just 5.99 AUS$! 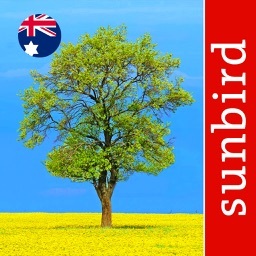 This app is the most comprehensive tree app on the Australian market. 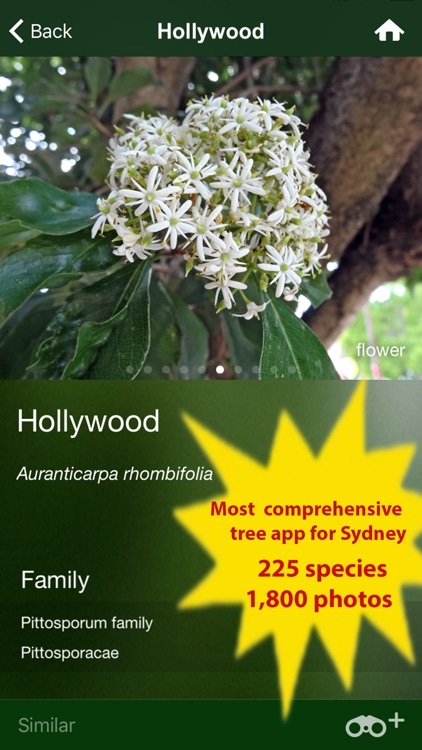 The app describes in detail native and exotic trees and shrubs of the temperate zones of NSW especially urban trees of Sydney and surroundings. 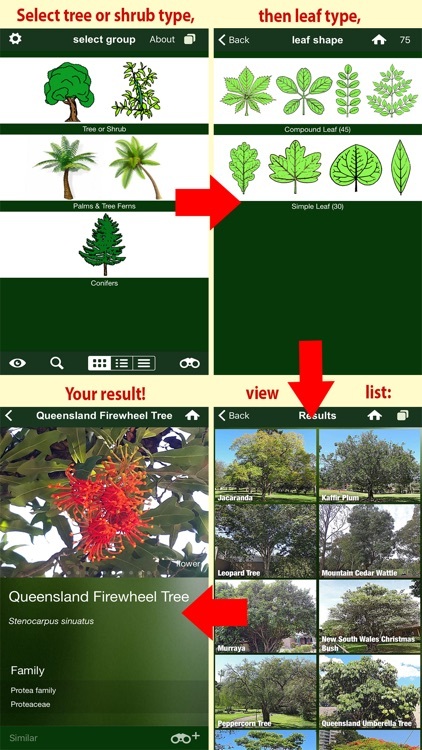 The app is a great companion for Melbourne too, and covers many trees of Brisbane as well. The images show the full tree, bark, flower, fruit, and leaves. 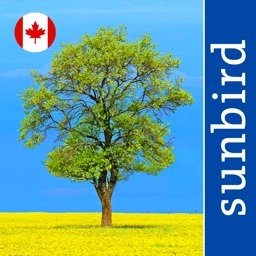 The idea for this app originated from our shared passion for nature in order to provide like-minded with a comprehensive and helpful tool to identify, map trees and shrubs to be of great help for all gardeners, landscape architects and biologists and nature lovers! 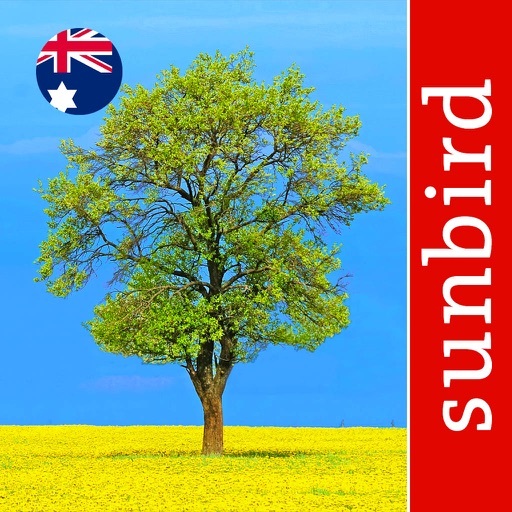 Includes trees and shrubs of Sydney and NSW! To date we have sold more than half a million field guide apps worldwide! 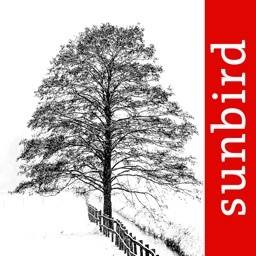 This app is part of the Sunbird Images RED LABEL series. 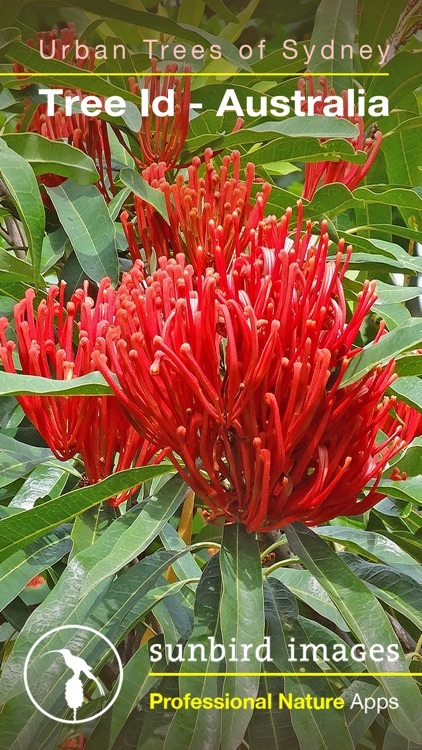 Our botanical apps of the RED LABEL series include the most common species likely to be found in a respective geographical area. Our apps stand for high quality and user-friendliness. 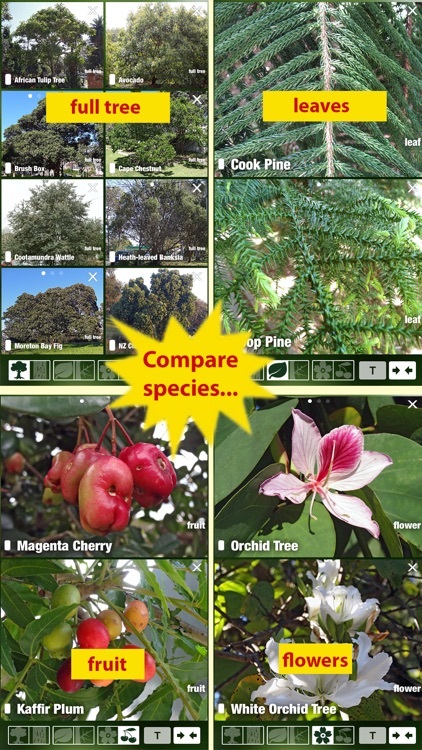 All species are illustrated and described in detail and featured with a full species account. 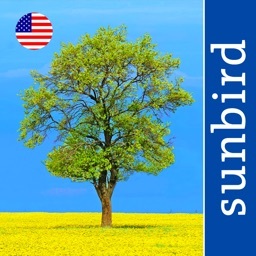 Addresses the generally interested nature lover as well as the expert – with intuitive user interface and many helpful and interesting features! Easy search feature quickly leads to a list of results. You can also look for fragments of a species name – the search for “cherry“ shows all the species which include the word “cherry“ in the species’ name. 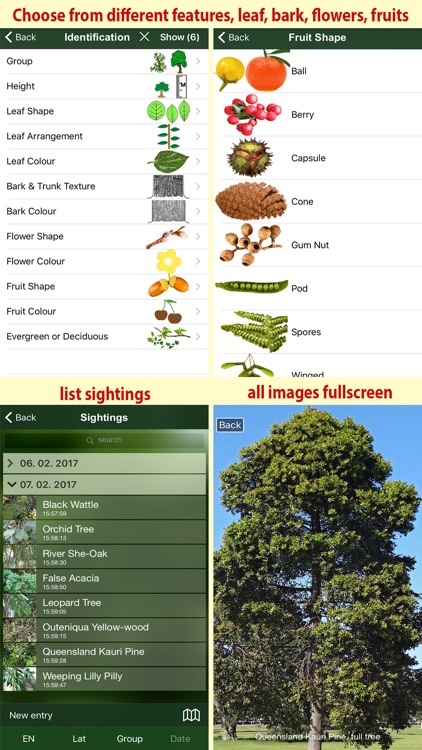 "Tree Id Australia" is very well suited for keeping personalized sighting lists. 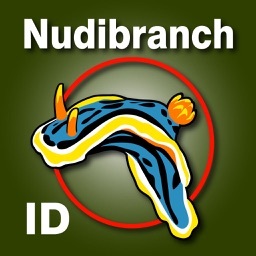 The app will be continuously developed further and more species will be added. 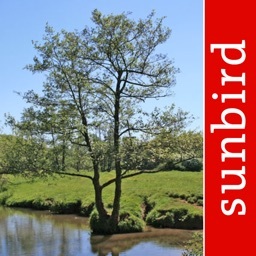 Once downloaded no internet connection needed – just download the app and start identifying trees in your neighborhood!